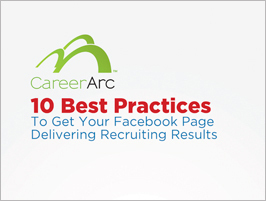 Take advantage of our thought-leading white papers aimed to push your social recruiting success to new heights. 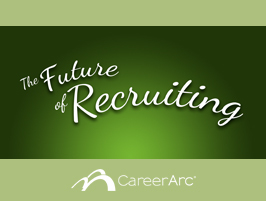 Are you prepared for the Future of Recruiting? 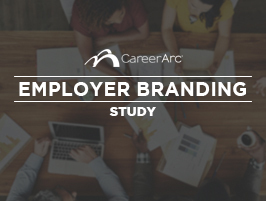 We surveyed over 1,000 professionals to learn the emerging trends and tech shaping talent acquisition today, as well as the innovative ways companies maintain a competitive employer brand—and consumer brand—for the talent of tomorrow. What do job applicants really want from their candidate experience? Read our survey of 1,200 professionals who help reveal the gaps in the applicant process along with clear ways to deliver a memorable candidate journey that wins over the best talent. 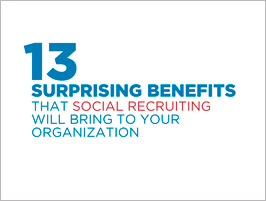 Traditional ROI models don't work for Social Recruiting – but these 13 benefits will get your whole company applauding Social Recruiting.